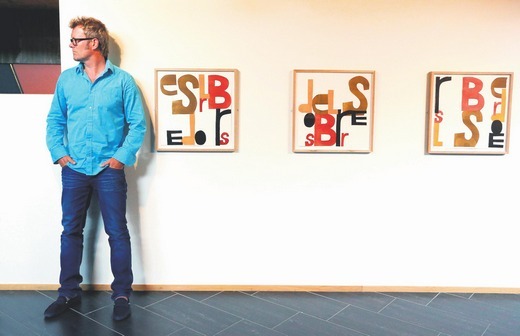 Magne’s exhibition at the Leidang gallery at Stiklestad opened last Monday, July 23rd. Held as part of the Olsokdagene culture festival, the exhibition included a series of new prints based on the word “Borderless” (the theme of this year’s festival is “Across borders”) and a selection of works from “Camera” (2009). “I always hope that people get inspired and happy when seeing my art. But you never know. Personally I feel that it’s become a nice exhibition and I’m looking forward to seeing the audience reactions”, Magne told NRK. The exhibition was opened by Knut Olav Åmås, the culture editor at newspaper Aftenposten. “It’s rare to see an artist who creates so many different things on such a high level. There are some who get provoked by such a multi-talented man, which is understandable when you struggle to achieve even the simplest things yourself”, Åmås said in his speech. Sennheiser, the company that provides the microphones and IEM systems for Morten’s solo tour, has posted a new press release on their website which goes into detail about the technical setup currently being used. The press release includes comments from production manager James Maillardet, monitor engineer Kursten Smith and FOH engineer Gerard Albo. “The key thing for me when working with Morten – and many other artists for that matter – is consistency. Once we have a system in place that works, I am always keen to replicate it as closely as possible everywhere we go. Being able to carry a full Sennheiser microphone kit and IEM system along with our backline means we can easily achieve the consistency that Morten demands”, Maillardet says. Gerard Albo is Morten’s FOH engineer for the first time on this tour, and follows Sherif El Barbari (a-ha tours 2009-2010) and the legendary Sven Persson (a-ha tours 2000-2008). 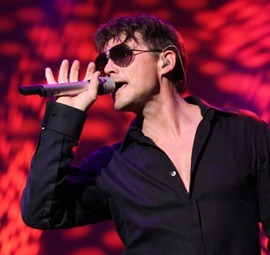 Kursten Smith has worked with a-ha and Morten since 2009. The whole press release is available at sennheiser.com. In other news, Magne has bought his third so-called AX24 system from Danish company Digital Audio Denmark. “We bought our first DAD AX24 systems in summer 2011 for recording and post-production in our Oslo studio. They feed into an Apple Mac workstation running Avid Pro Tools. We were absolutely thrilled by the transparent and natural sound quality of the AX24. My engineer found it hard to believe the recording could so closely match the experience of hearing the live performance. The third AX24 is being used for recording live stage performances on location. It is configured with eight high-specification mike preamps which make the system ideal for capturing a wide dynamic range. In my book, it is the best solution around today”, Magne says in a press release posted at digitalaudio.dk. The press release also includes a few comments from Magne’s assistant Tor Einar Krogtoft-Jensen, who seemed to be the drummer for Apparatjik at Roskilde. 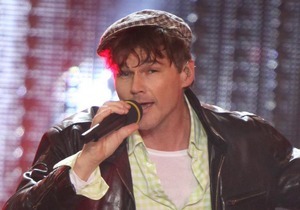 Morten has been in Klagenfurt, Austria this weekend, to do a playback performance on the TV-show Starnacht am Wörthersee. Last night he did two songs; “Scared Of Heights” and “Stay On These Roads”. The live show, however, was delayed due to heavy rain. Therefore the actual broadcast was from a dress rehearsal on Friday night. If you want to see Morten miming on the show, there is a clip on YouTube. There are also a few pictures on Facebook. If the whole concert will be available at some point, is not known. To view the mad spectacle, go to roskilde-festival.dk and click on “Orange Stage 2012: Apparatjik”. There is also a new video clip of Magne’s “Go With The Flø” opening fanfare last month now up on vimeo.com, courtesy of Sven Voelker. The newspaper Trønder-Avisa had a 2-page interview with Magne on Saturday, in connection with the upcoming Olsokdagene festival at Stiklestad. As mentioned back in April, Magne is this year’s artist at the annual festival, which opens on July 23rd. Stiklestad is an historical place in mid-Norway, which represents the introduction of Christianity in Norway, after a major battle in 1030. Magne’s exhibition will include a unique graphic print inspired by the events at Stiklestad. He is also preparing a series of prints based on the word “Borderless”. In the interview, Magne talks about his fascination with Ulysses and Finnegans Wake by James Joyce, which have been among the inspirations behind his use of fragmented words and sentences that are put together to form new meanings. “Reading Finnegans Wake is like a swim exercise. 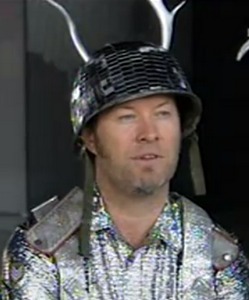 You can dive down anywhere and come up with something”, Magne says. He finds it interesting that the most beautiful, contemplative, religious room in the world was made by an atheist: the Matisse Chapel in Vence. “Picasso was angry because Matisse took on the task. Matisse answered that this is what we’re doing, building cathedrals”, Magne says. The exhibition will be held at Leidangsgalleriet at Stiklestad, and opens on July 23rd. 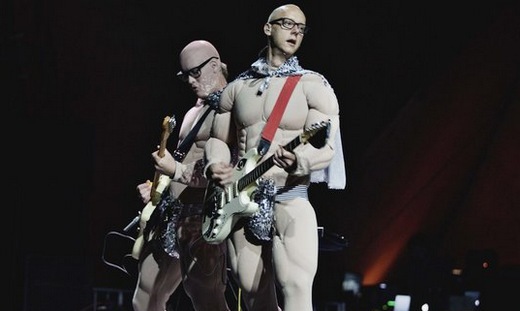 Apparatjik entered the Orange Stage at Roskilde like this last night, wearing bodybuilder suits, with silver capes and Martin Terefe masks. “Considering our experience with fame, this is interesting to explore. Martin is the least famous of us. Therefore we’ll all go on stage looking like him tonight”, Magne and Jonas told Dagsavisen in an interview before the concert. Starting out in silhouette behind four large screens, before moving onto the stage, the band performed songs like “Time Police” and “Do It Myself” for the first half hour. 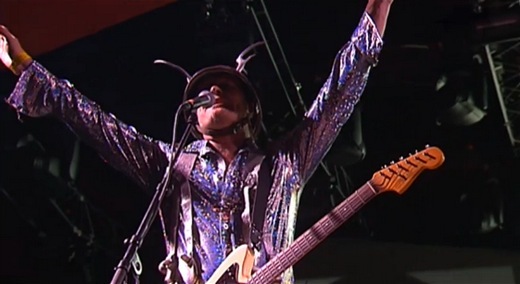 Then DJ Aretïve appeared on top of a cube out amongst the audience, doing a 20-minute set accompanied by the alien fashion show that Magne mentioned in Wednesday’s interview. This was followed by a guest appearance by Lowell, a young Canadian singer who has been working in the studio with Apparatjik lately (more info on that collaboration here). By now, the guys had changed into their combat disco uniforms, and the concert ended with songs like “Tell The Babes” and “Blastlocket”. 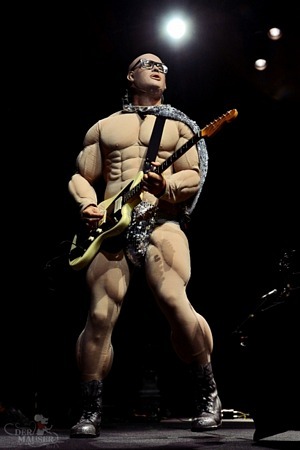 Other songs played during the show apparently included “Combat Disco Music” and “That’s The Thing About Us”. Apparatjik are getting mixed reviews in social media and in the press after last night’s unique performance. Reactions on Twitter ranged from “who can review this bizarre concert without getting nightmares?” to “the most amazing thing the world has ever seen” to “mega fail”. Apparatjik are set to perform at Roskilde’s main stage tomorrow night. This will be the first time Magne performs at the festival, previously he’s only been there as a guest. This will include guest-appearances by fans and new artists who are collaborating with the band. “We have been invited to make an installation at the Museum of Contemporary Art [in Oslo] in the autumn, which will be accompanied by a slightly absurd choral work. We are also planning quite a spectacular outdoor performance in the middle of Oslo city at the end of September, which I can’t go into detail about yet”, Magne says. Apparatjik are scheduled to go on stage at Roskilde late tomorrow night, at 1:00 am. 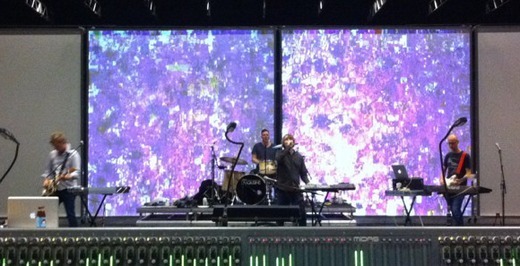 Guy Berryman is on tour with Coldplay in the US at the moment, and won’t able to join the others this time. Update: In an interview with VG, Magne provides more details about the Oslo concert – which will be free and take place by the Astrup Fearnley Museum at Tjuvholmen on September 29th. Release Me – the EP that Martin Halla and Magne recorded at the end of May – was released by Universal Norway on Monday, July 2nd. 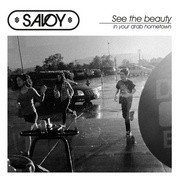 It includes new versions of four of the songs from The Voice, plus a cover version of “Dragonfly”. One would perhaps expect Magne to be credited as producer or musician in the cover, but there is no such info listed, except for songwriting credits. It does sound like Magne is doing the backing vocals on “Dragonfly”, though. 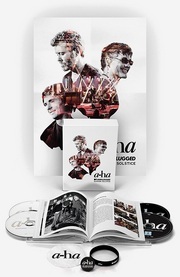 The CD is now available from platekompaniet.no, and digitally on iTunes, Spotify, Wimp etc. 30-second audio samples can be heard at amazon.de. 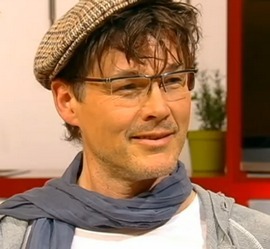 Morten was a guest on the ZDF talkshow Volle Kanne this morning, with host Ingo Nommsen. The 10-minute interview can be seen at zdf.de. This was followed by an appearance on RTL’s Ultimative Chart Show, to be broadcast at a later date. “Burn Money Burn” was apparently performed on the show. You can see some pictures taken outside the RTL studio here (courtesy of memorial-beach.de).